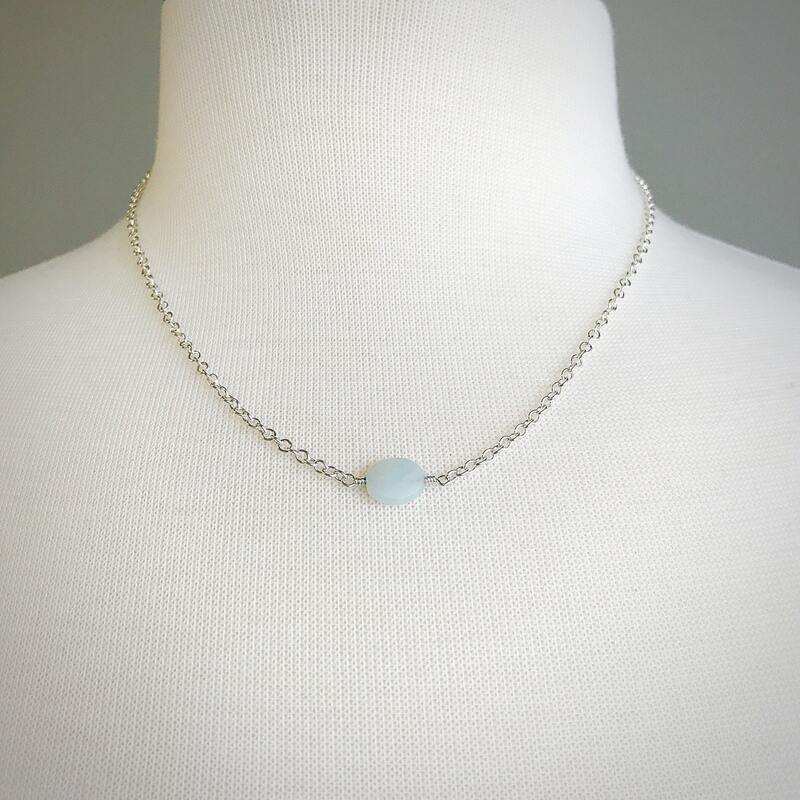 This delicate sterling silver cable chain necklace features one amazonite bead. 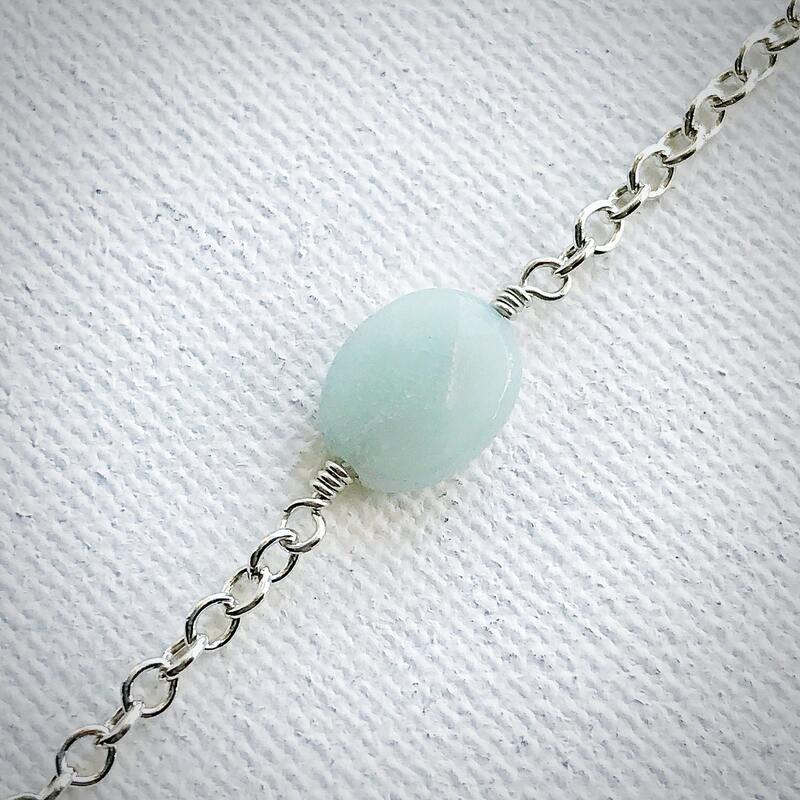 The faceted bead measures 8x10 mm and is hand wrapped with sterling silver wire. The clasp is a sterling silver lobster claw. 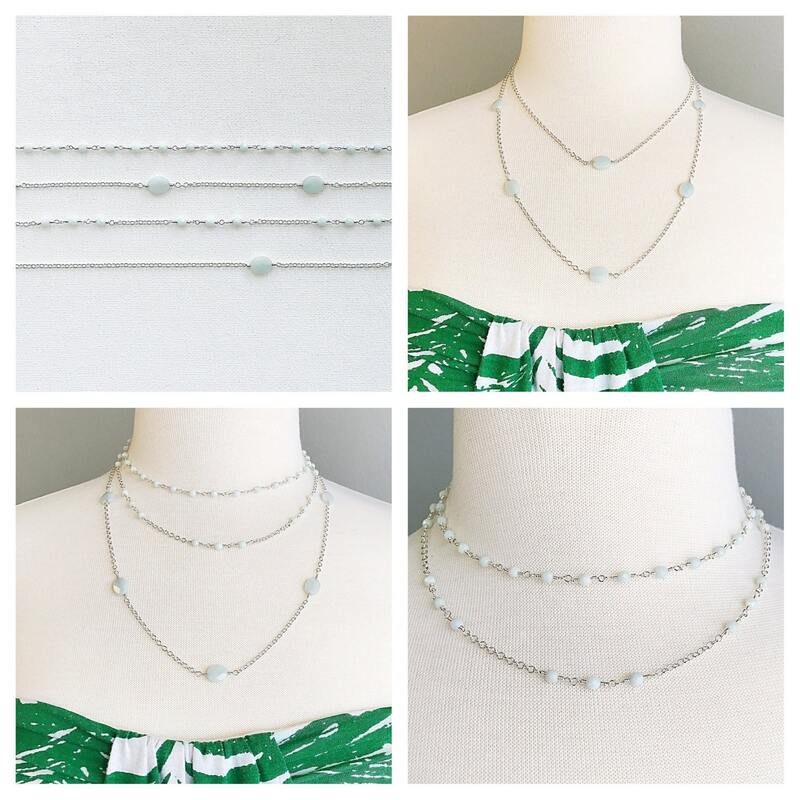 Wear alone or layered with our other bead chain necklaces. 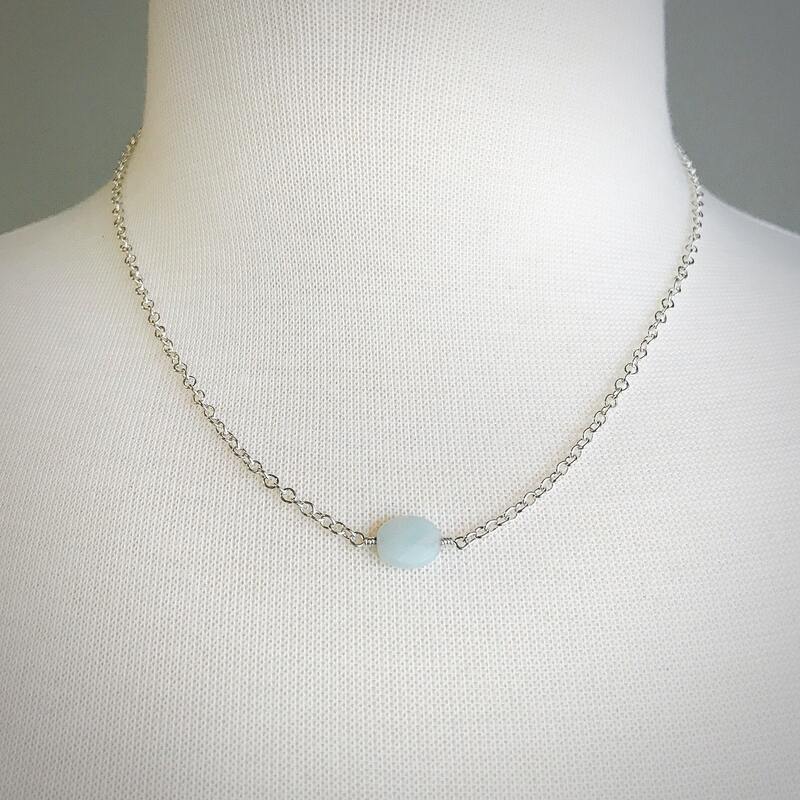 This dainty necklace is our best seller! They make beautiful gifts for all ages and occasions.